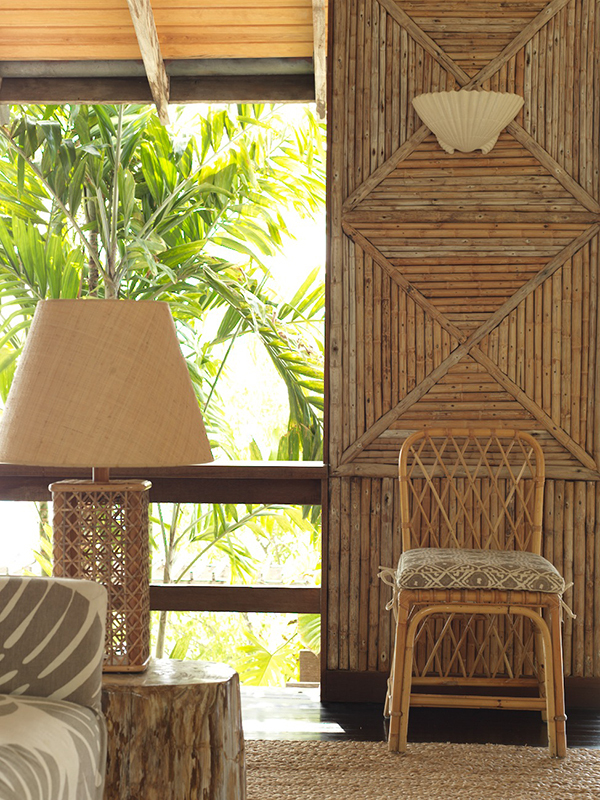 I have always loved bamboo in interior design. 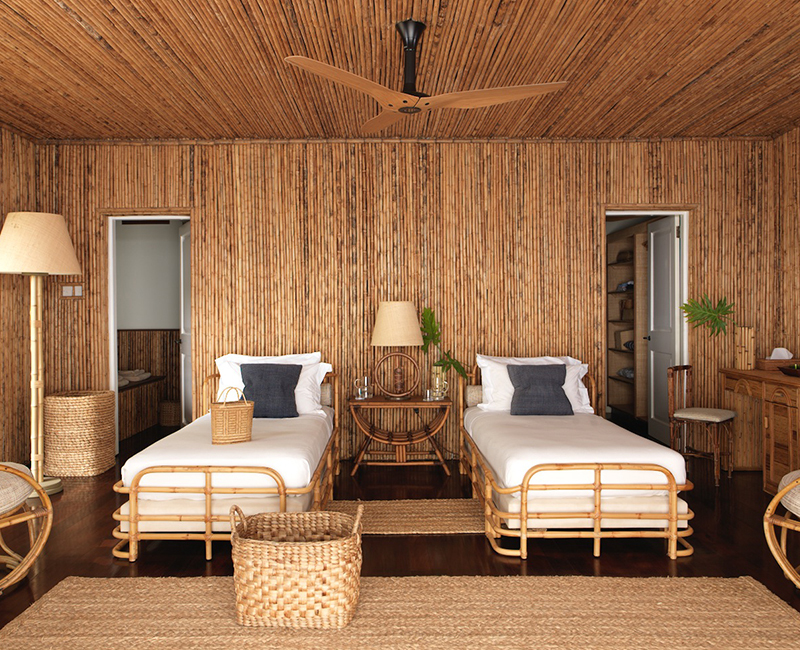 I remember when I first saw the bamboo Beach House that interior designer Veere Grenney redesigned on the Caribbean island of Mustique. 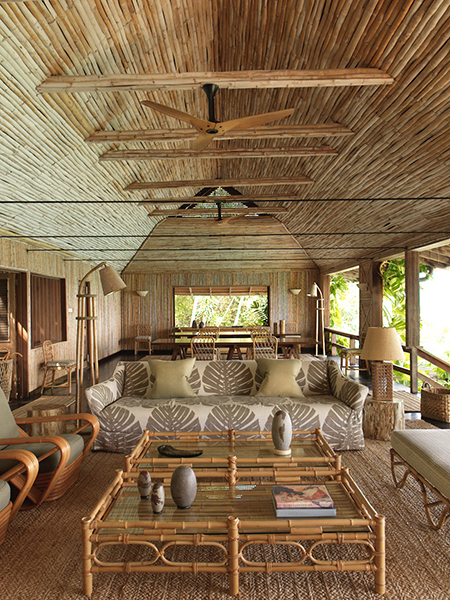 It is a magnificent place with bamboo walls, iconic mid-century bamboo furniture, and a neutral palette. 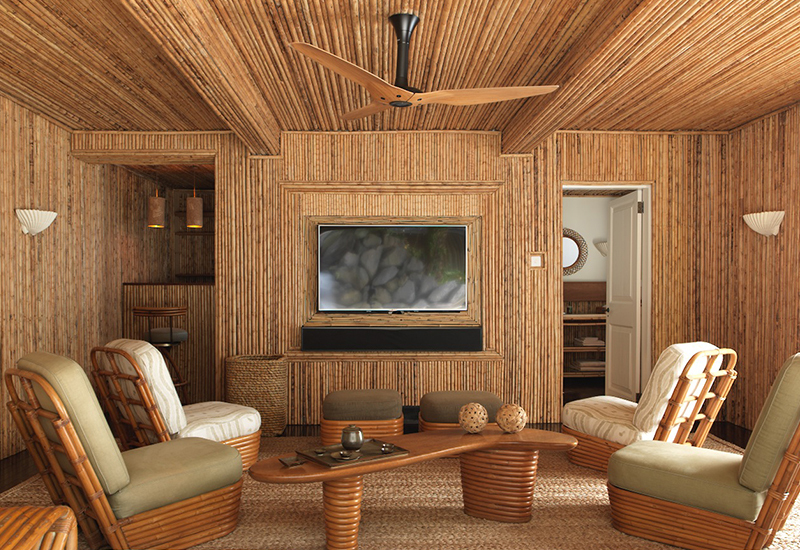 Grenney’s showcase interiors of the property, originally built in the Seventies by the Swedish architect Arne Hasselqvist, is an over-the-top example but even the smallest touch of bamboo brings a bit of the exotic home. I designed our new Mayotte Bamboo Frame with that in mind after a trip to Asia, where bamboo also abounds. I like to display photos in groups, so I pair it the clean, simple lines of the AERIN Camille Frame.